We had over 1,300 attendees enjoy a beautiful fall day on warm springs avenue touring six incredible historic homes. 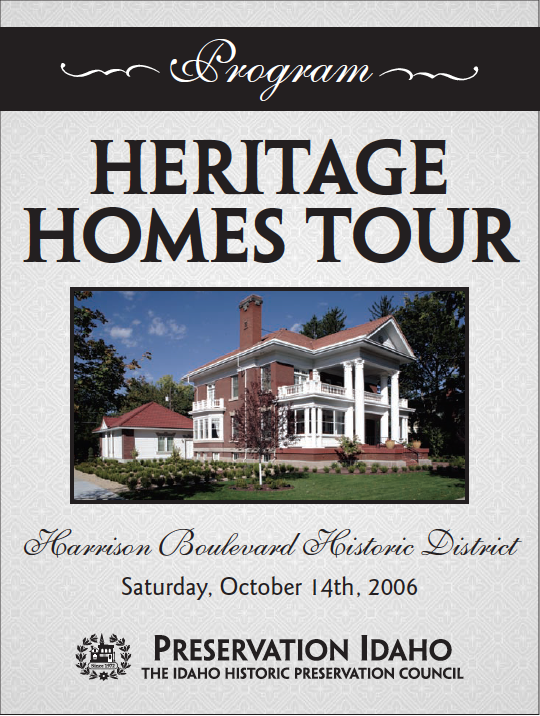 Heritage Homes’ Tour is our largest event and biggest fundraiser for the year. The monies made help to support our programs, our advocacy work, and the work of our new Program Director. Our work in the upcoming year will focus on advocacy around the state, increasing awareness of our Barn Register, the Idaho Architecture Project, advocacy for the preservation of Idaho’s historic county courthouses, work towards legislative approval of a State Historic Tax Credit Program to amplify the impact of the Federal Historic Tax Program and to expand the number of historic building rehabilitated. These project increase employment during construction and afterwards they increase the property tax basis on their communities and provide employment and business growth. The annual Heritage Homes Tour features select homes in various historic residential areas of Boise. The purpose of this tour is to promote public awareness of Boise’s rich heritage of buildings, neighborhoods, and landscapes and celebrate those who steward these beautiful homes. Huff, Jeanne. "If these walls could talk." Idaho Press Tribune. 31 August 2018. Historic places represent a snapshot in time, a reminder of the path we have taken and the base upon which our future is built. It is a loss to our cultural heritage when they are taken away. The homes that are showcased in the Heritage Homes Tour are places that each of us can learn from, enjoy and appreciate. Below you can learn more by viewing past educational booklets that Preservation Idaho has created for each tour.